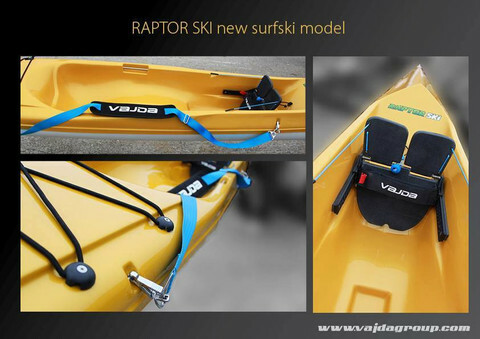 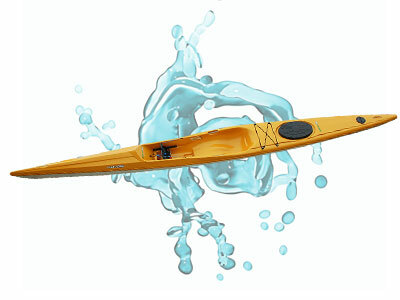 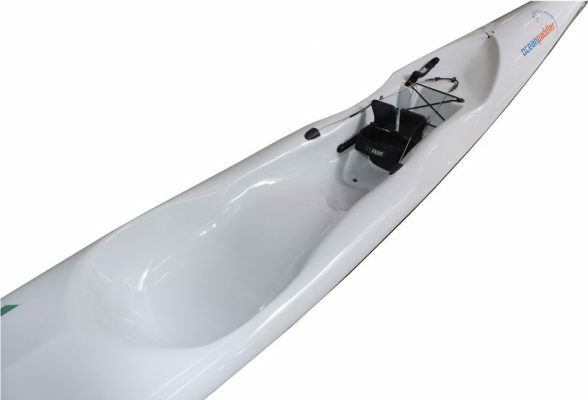 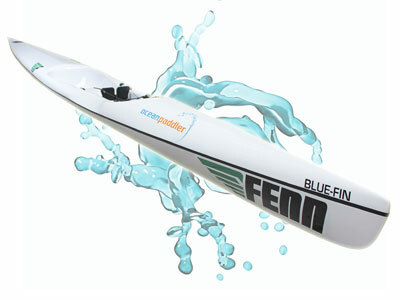 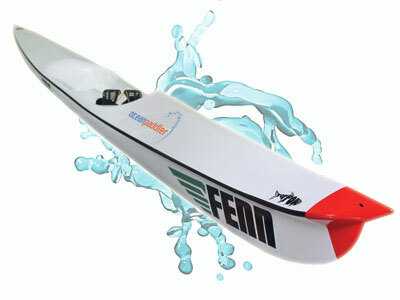 Vajda Raptor Surfski -The world’s first thermoform plastic ski. 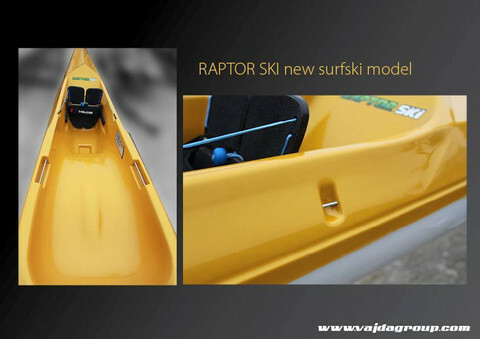 The Vadja Raptor Ski is the world’s first thermoform plastic ski. 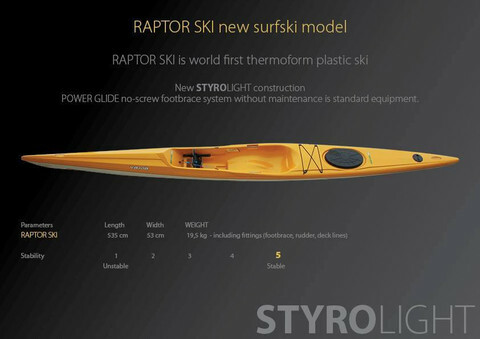 It is made from Styrolight Construction and has a Powerglide no-screw footbrace system.